Lenovo’s new ThinkPad line of notebooks and ultrabooks provide an affordable solution for businesses, mobile business, and home offices. 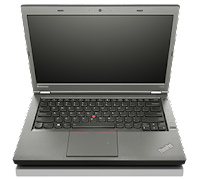 The series includes ThinkPad T Series, ThinkPad E Series, ThinkPad X Series, ThinkPad Yoga, and finally, ThinkPad Helix. Each series embodies unique features pertinent to your specific needs. Overall, the Lenovo ThinkPad line of notebooks and ultrabooks focus on productivity, reliability, and portability. The Lenovo ThinkPad Series E, T, and X provide slightly different variations of a sleek and affordable laptop solutions. The ThinkPad E Series offers advanced features to keep pace with ever changing business applications by offering the fifth generation Intel Core up to i7 processors, several I/O ports, 16GB of memory, plenty of storage, and the ability to keep up with heavy workloads. The E450 is the lightest in the series, weighing four pounds with an eight hour battery life and a 14-inch HD display. Powered by the fifth generation of Intel core processors, the ThinkPad T series offers spill-resistant keyboards, strong performance, and exceptional security features. ThinkPad T450s series are the thinnest and lightest laptop in the T series, starting at only 3.5 pounds. Finally, the T series offers up to twenty-four hours of battery life and can hold as much as 16GB of memory. The Lenovo ThinkPad X Series is the thinnest and lightest ThinkPad laptop design offered by Lenovo. Its innovative design allows for convenience and portability without sacrificing performance; making it a perfect laptop for business-folk on the go. The ThinkPad X1 Carbon Ultrabook weighs just 2.87 pounds and has a battery life of up to 10.9 hours. However, the ThinkPad X250 offers up to twenty hours of battery life. After listening to customer feedback, the X1 Carbon ThinkPad added back the function keys for convenience. Furthermore, X series laptops are powered by fifth generation Intel Core processors, offer up to 8GB of memory and feature a sleek design for convenience and portability. If you need more flexibility and convenience, the ThinkPad Yoga and Helix are the perfect choice for you, used mainly for business travel, schools, mobile offices and more. The ThinkPad Yoga series is able to be both a laptop and a tablet through a 360-degree flip-and-fold design. Being a 2-in-1 tablet PC, the Yoga has four modes: laptop, tablet, tent, and stand. The ThinkPad Yoga 12 is extremely portable weighting in at just 3.48 pounds. The ThinkPad Yoga is also offered in a Chromebook version designed specifically for education with the ThinkPad Yoga 11e. The ThinkPad Yoga 12 and Yoga 15 offer the fifth generation of Intel Core processors all the way up to the i7 variant. The ThinkPad Helix has a detachable keyboard allowing you to be productive on the go. It has two keyboard models with the Ultrabook Pro keyboard offering up to 12 hours of battery life and additional I/O ports. Dual cameras, advanced security options, up to 8GB of memory with plenty of storage options, makes this 11.7” wide screen a perfect option for travel. The Lenovo ThinkPad series has earned its loyalty and reputation as a high performing, productive, and convenient laptop solution for businesses, schools, mobile offices, military use, and more. 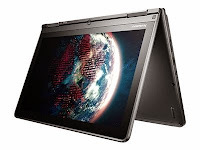 With Lenovo’s attentive attitude towards their customers, they have recently brought back specific features to the ThinkPad series laptops including the beloved buttons on the top of the ThinkPad’s touchpad. Another important feature to several customers is that they still remain military spec tested. To confirm the durability and reliability that many customers rely on, the redesigned ThinkPad series has indeed undergone military sec testing. From low pressure at 15,000 feet, humidity, vibration, high temperatures of 140 degrees Fahrenheit, low temperatures to negative four degrees Fahrenheit, temperature shock and dust blows; the ThinkPad Series has indeed stood its tests and gained its new design approval. Is Your Storage System Too Big to Fail?